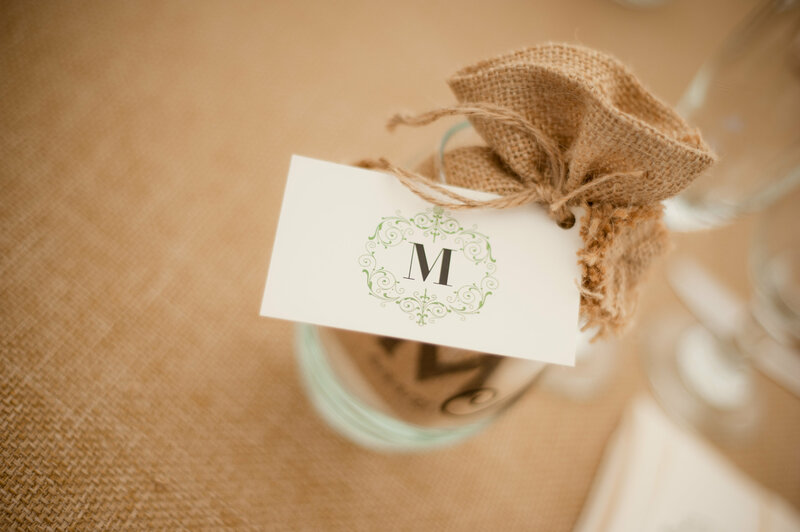 A monogram is the perfect way to tie all the print elements in your wedding together. 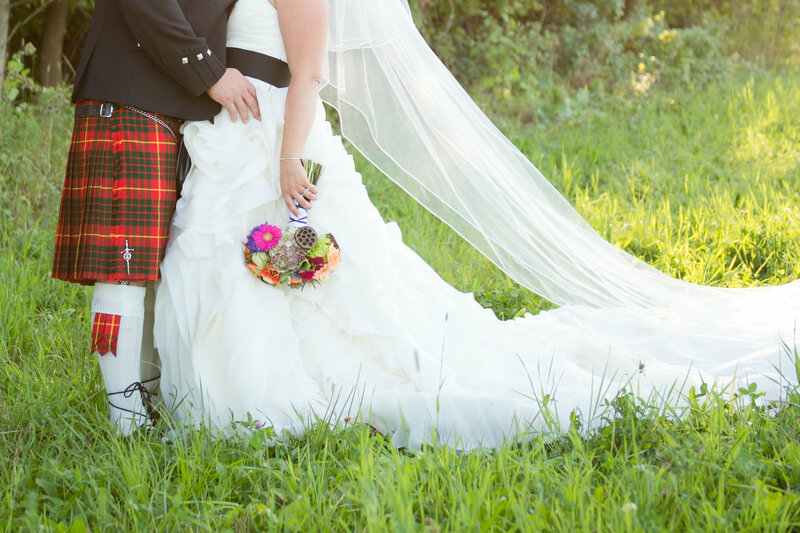 Scottish Thistle to honor Stephen’s heritage. 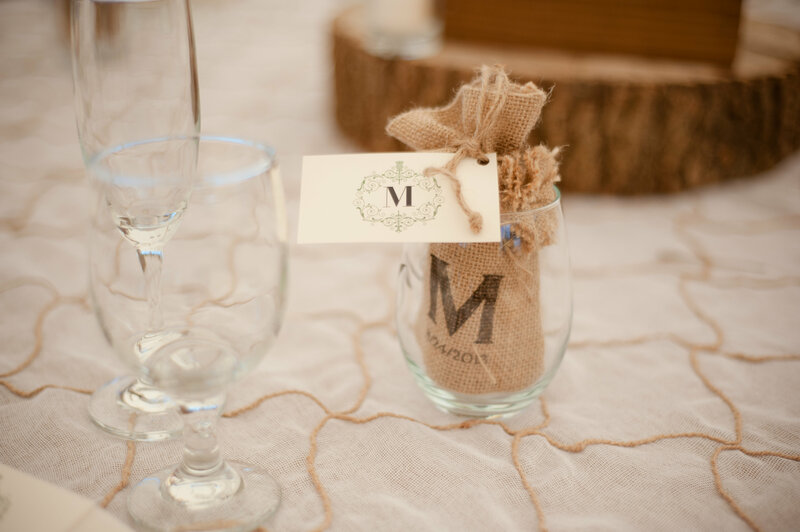 A stemless wineglass holds a wedding favor with a monogrammed favor tag. 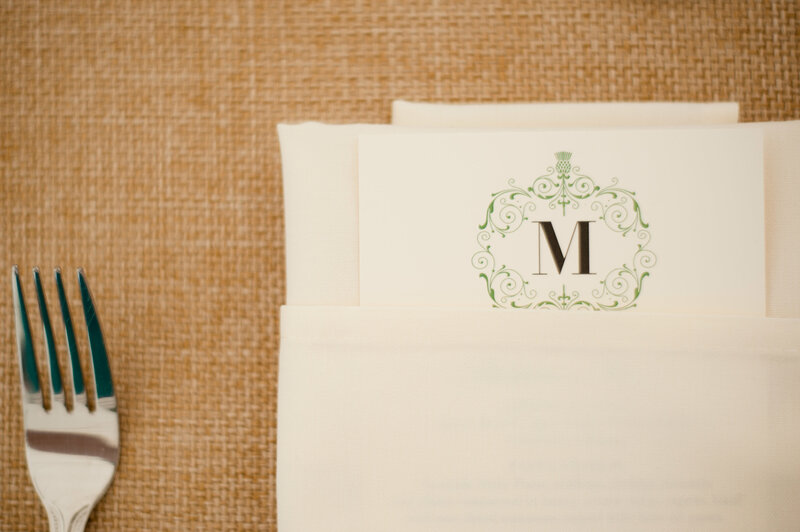 Elegant monogrammed menu cards slipped inside folded napkins for each guest. 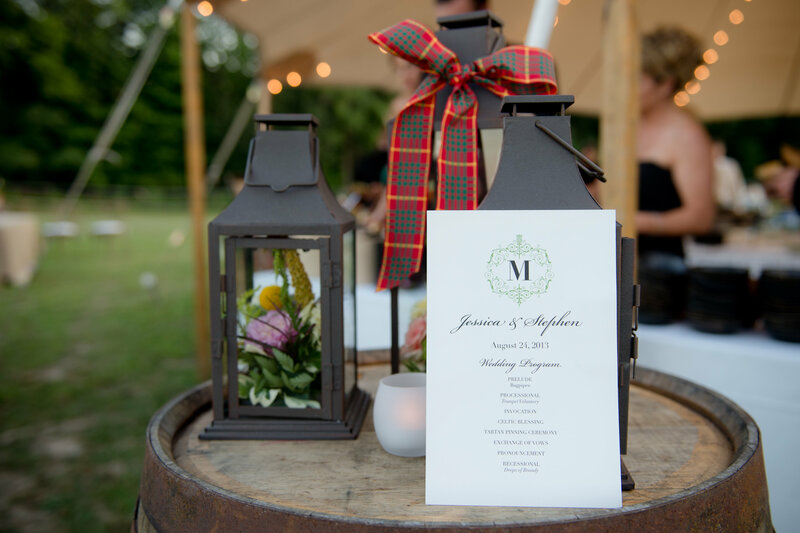 The monogram transforms into table numbers using the Scottish thistle embellishment. 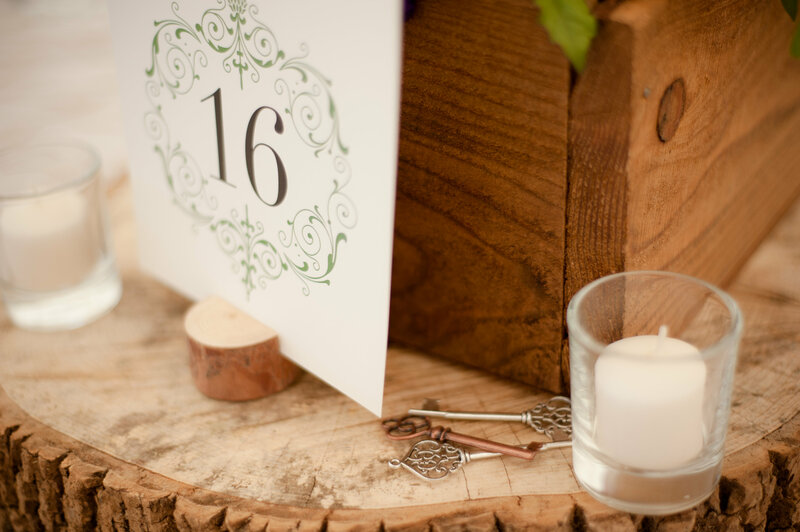 Rustic wood slice centerpieces, candles and vintage-looking keys make a beautiful vignette. 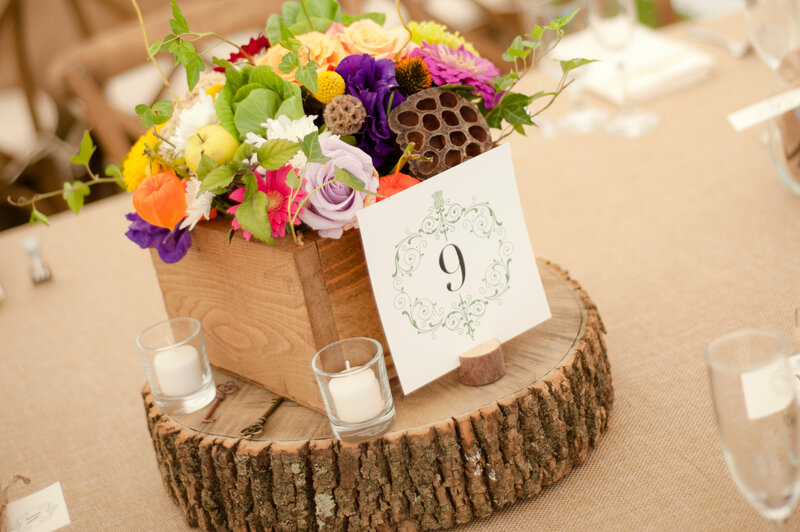 it was so much fun to design all the print elements for your beautiful day!